Driving can be fun and it can also be tedious especially when you've done it for a while and at one stretch too. Sometimes, you play the music to break the monotony, but that could quickly get old too especially when it feels like you've been driving forever. So, you are on a highway driving, your mind focused on the road and then suddenly, you see something. What could that be? Ever seen a road sign that almost made you hit the brakes? 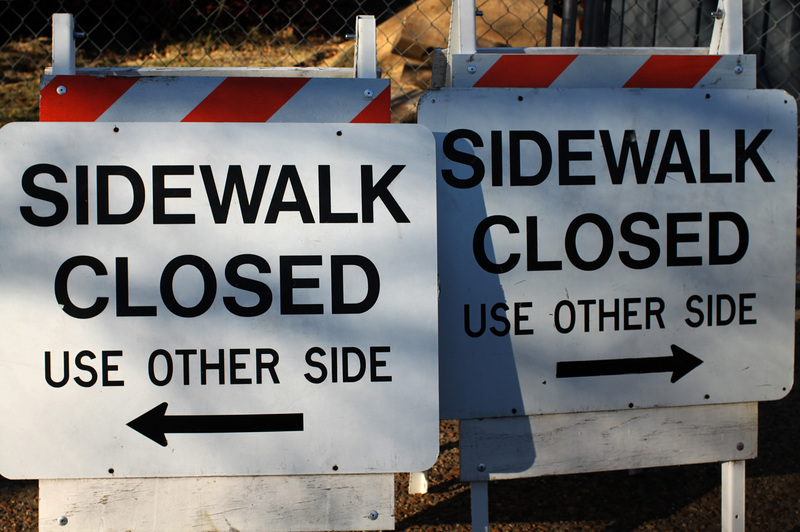 We've put together some note-worthy road signs that you've got to see. Some of them would make you laugh out loud and some would make you frown in thought, but we bet you would enjoy all. Come on a ride with us, will you? 1. 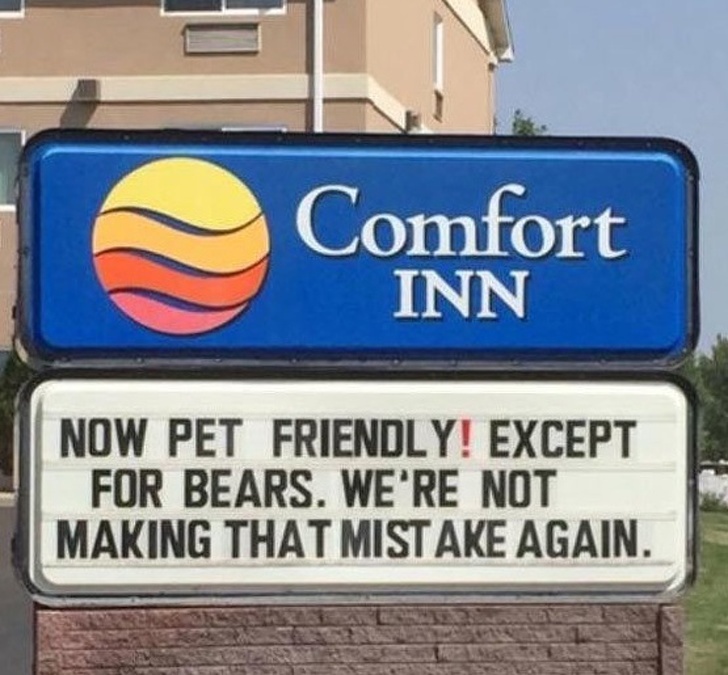 I guess they couldn't "bear it" the last time. We can only imagine what could have happened to cause such aversion to bears. Could it be that someone actually brought a bear as a pet? 2. Some good motivation to start up the day with. If you see this on the highway while having a bad day, it is sure to give you something to think about. 3. We think there's a need for a comma there. 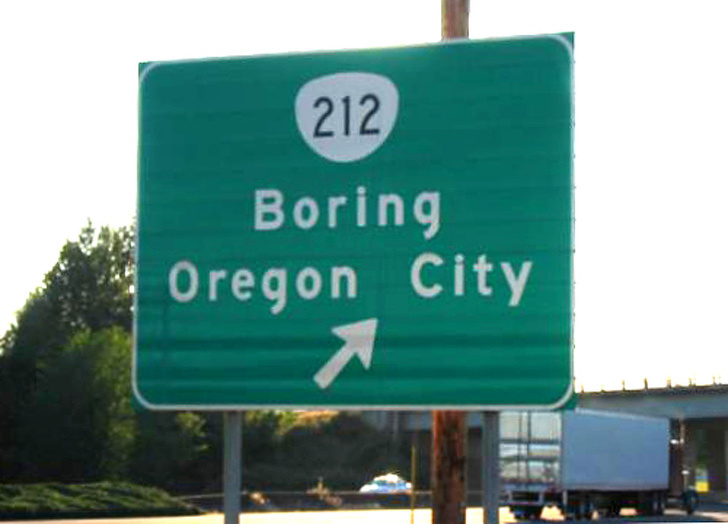 This sign can be explained in two ways; Boring in Oregon city and Boring Oregon city. It's left for you to take your pick. 4. I guess the "other side" is in the air. 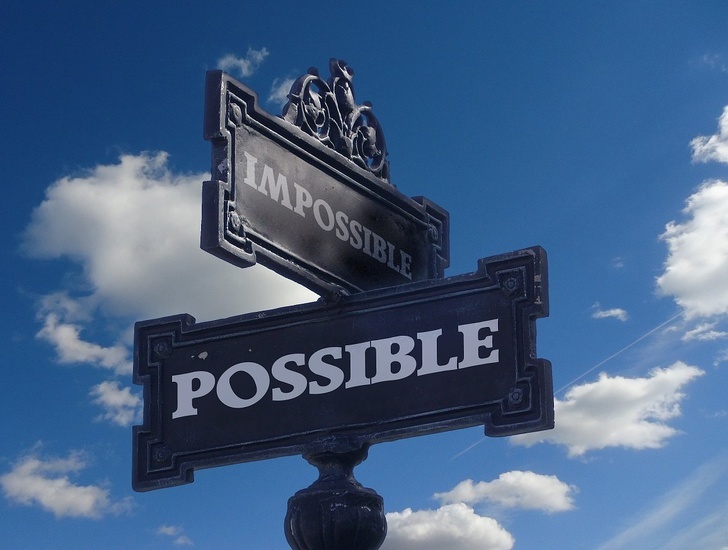 We can't possibly imagine how long it would take to get to the other side. 5. Indiana Hills Community center is trying to play a fast one on us. 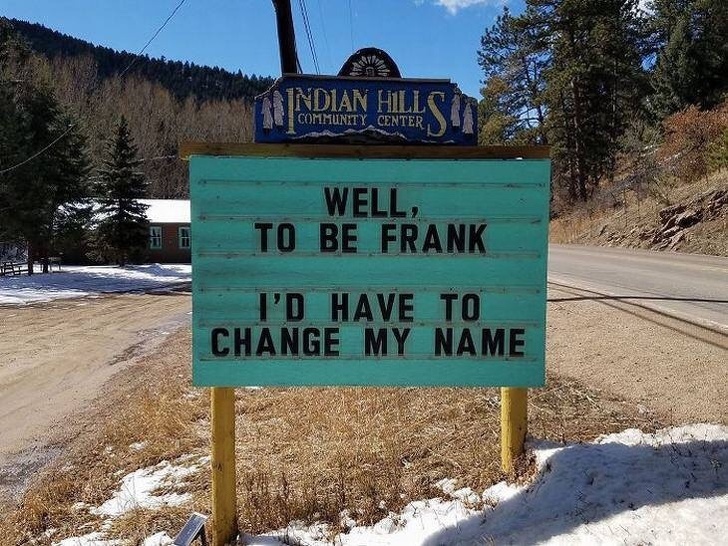 To be Frank, we figured you out so you've got to try a little bit harder. 6. 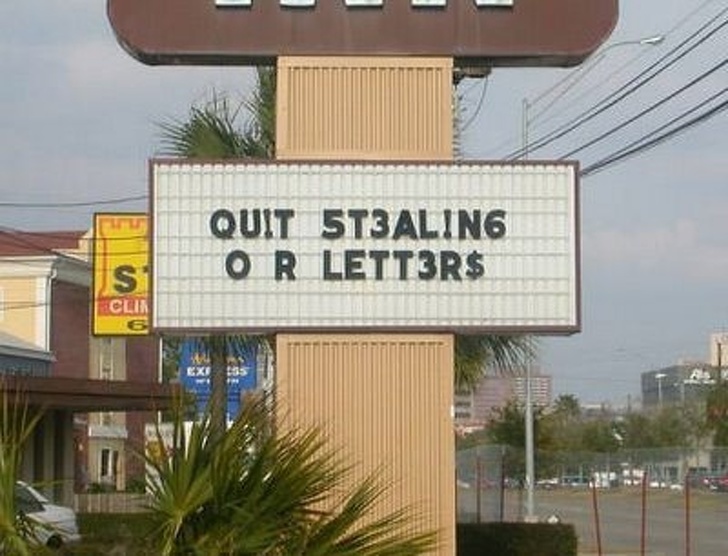 This business owner had to figure out a way to make these letters work after most of them have been stolen. 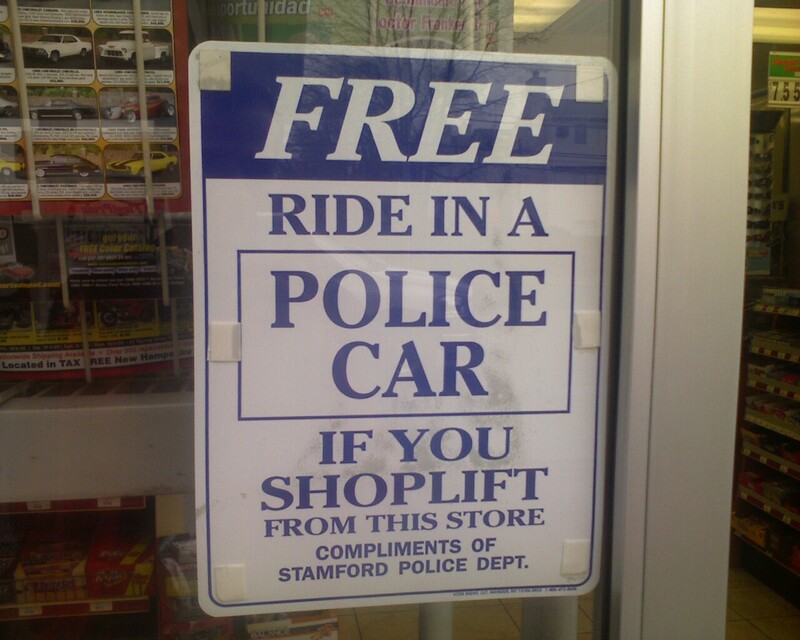 We sure hope the thieves are able to read the sign! 7. Wouldn't it be great to be able to charge based on how wealthy somebody looks? It will be like a range of price for different types of earners, but we bet the extremely wealthy will have something to say about that. 8. What's the use of a sign that's not in use? This is very misleading and confusing, don't you think? One might eventually miss a turn while trying to figure it out. 9. Humor is transferable. Ain't got it? Find someone who does. This is very encouraging and anyone who reads this will definitely have a lot to think about. 10. 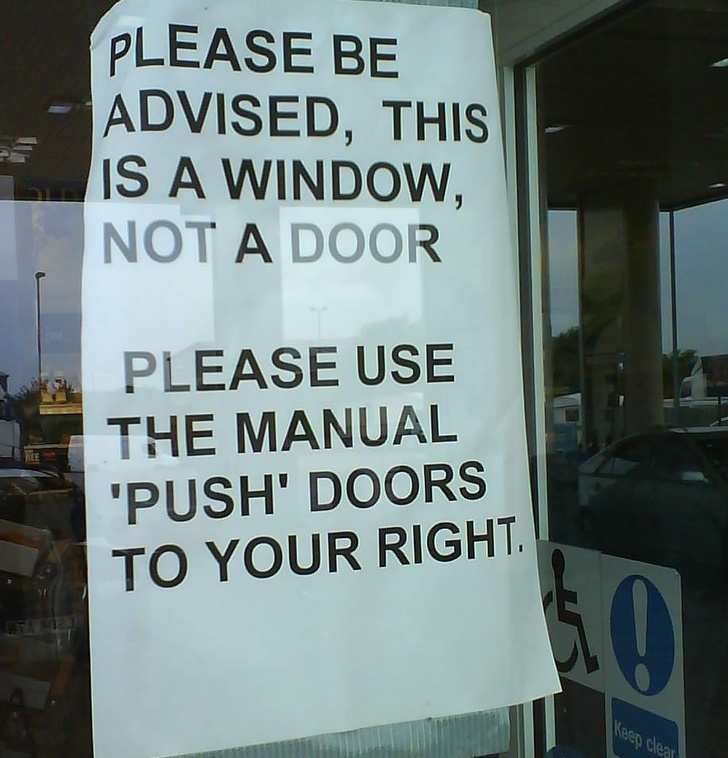 Think someone wanted to "push" down the window. How many times has this happened to you unknowingly? Some windows can easily disguise as doors, can't they? 11. 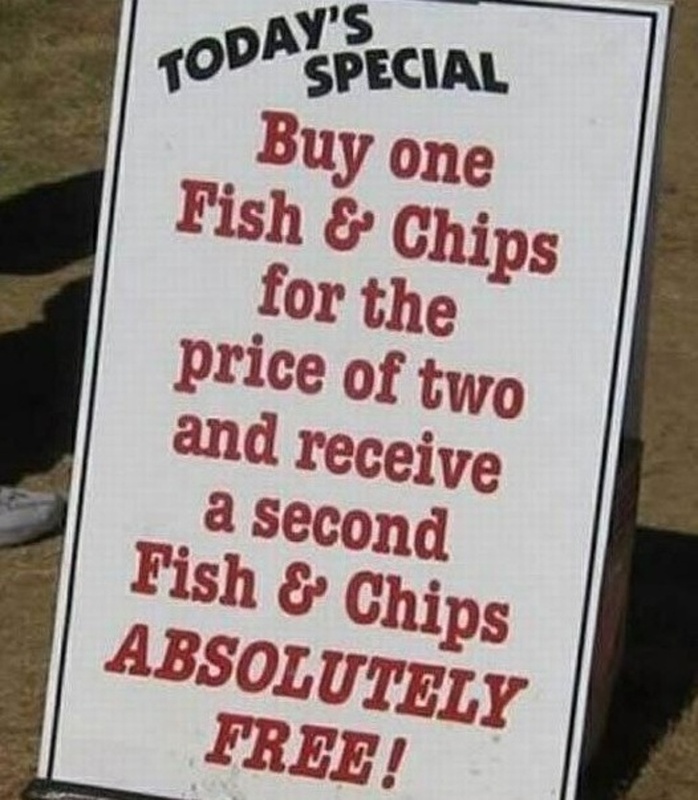 Attention-grabbing marketing. This sign is attempting to grab people's attention by using the shock factor. 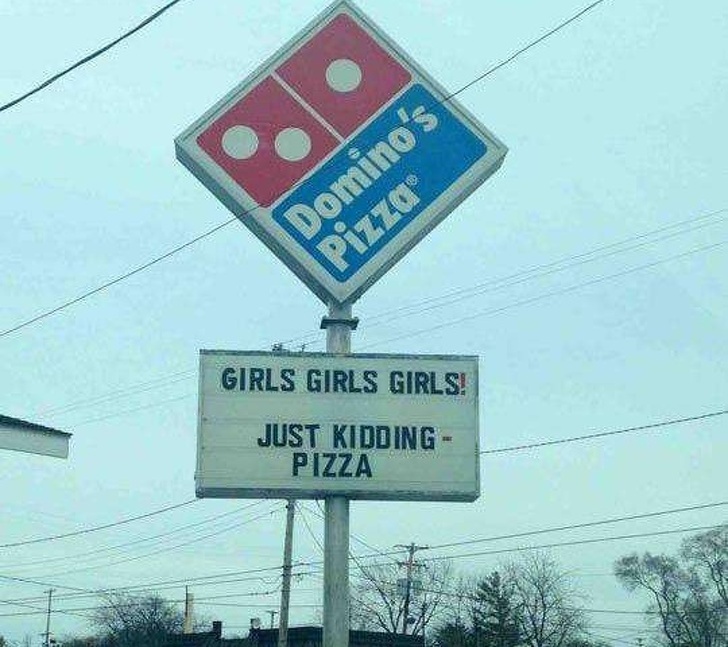 When you see this, you're sure to pause and think and then decide to get a pizza anyway. 12. Fire is definitely not something you trifle with and taking the time to send a tweet before exiting the building is positively dangerous. 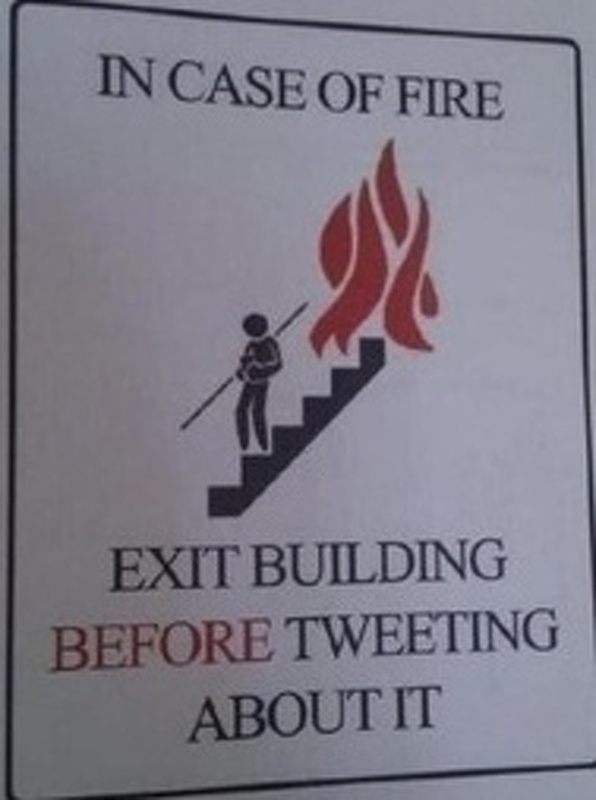 The watchword is Safety before Tweeting, Don't tweet in the line of fire. 13. And I guess it comes with a free night too....in jail. 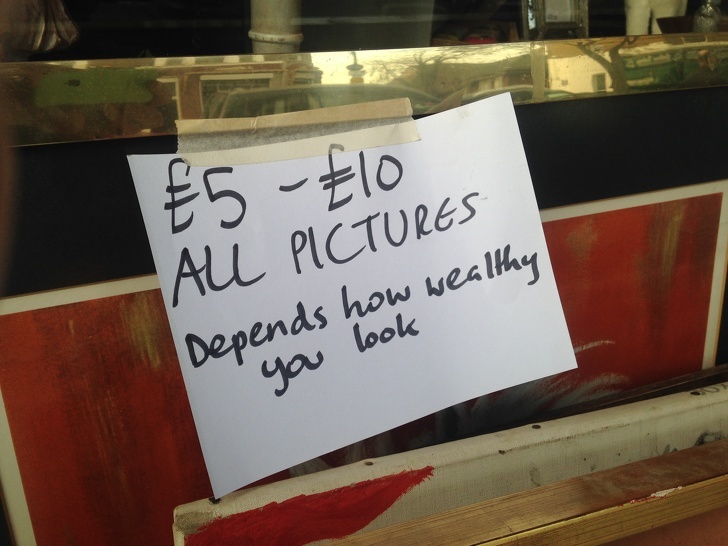 This sign is hilarious but at the same time concisely passing across the desired message. We sure hope the offenders take not. 14. 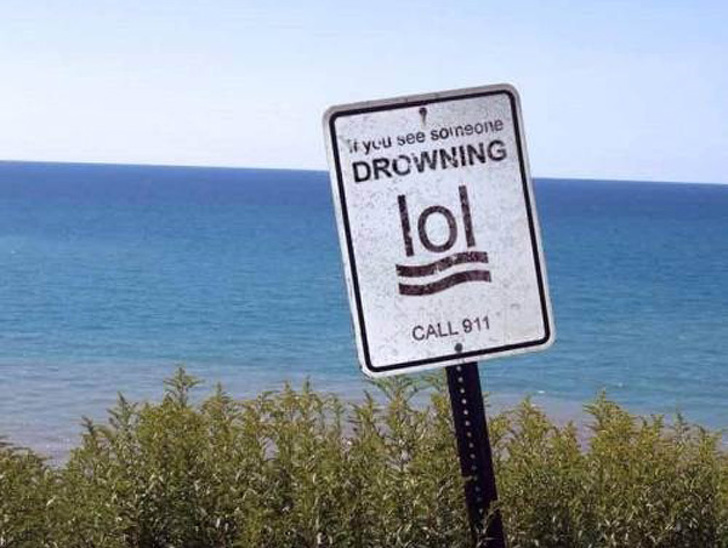 Is that a LOL, or someone drowning? The age of digital media has promoted writing in abbreviations and this is the reason signs like this can become misleading. 15. The poop comes before the toilet paper, we think? We guess this is addressed to those who flush sanitary pads and such, but it can be very confusing nevertheless. 16. I can intentionally get a free kitten, right? 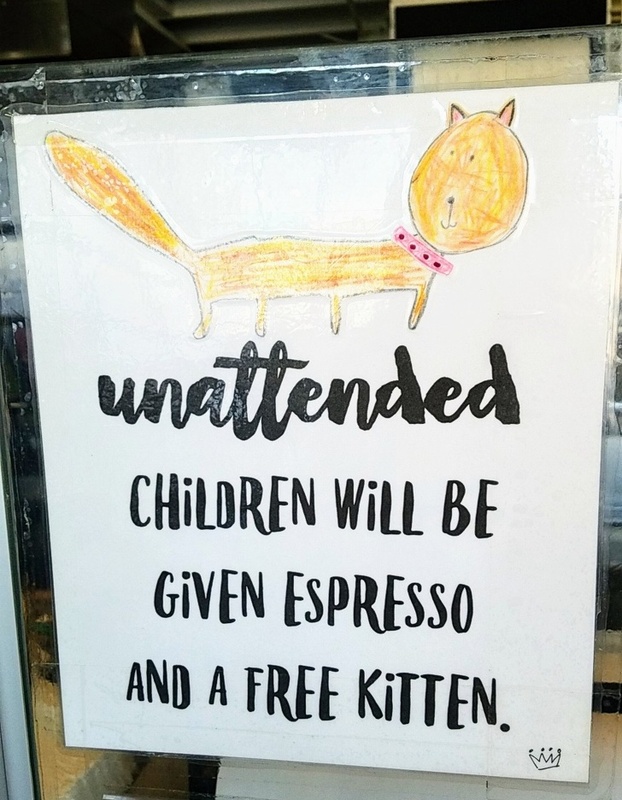 This sign is trying to warn parents about leaving their children unattended as they can eventually get a child umped with espresso and handed a free kitten. 17. 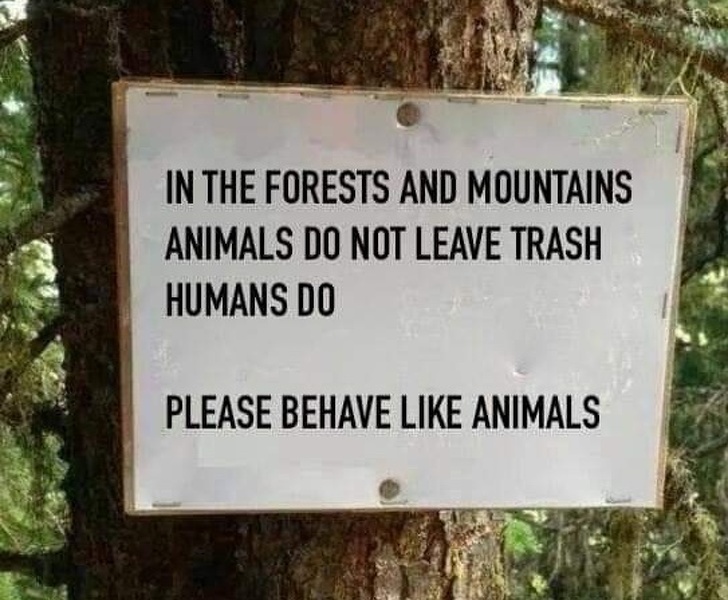 We know animals behave better. 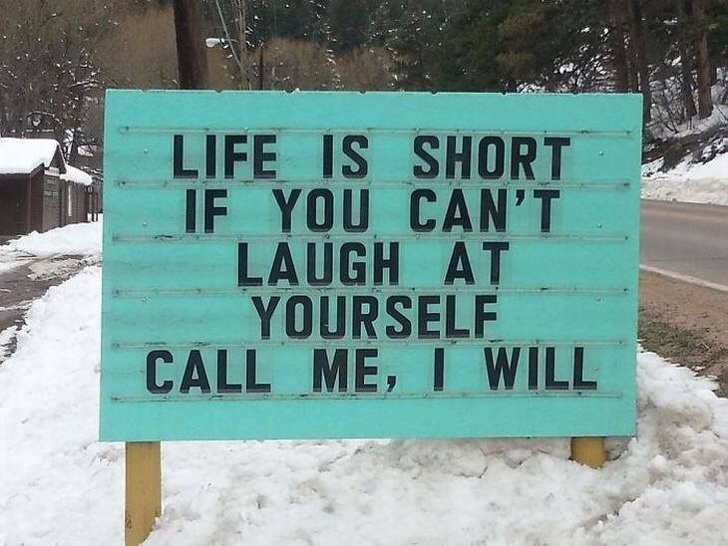 This sign is extremely rude but it managed to pass across its message, or does it? Nobody would want to be likened to an animal so it might also have the opposite effect to what is intended. 18. 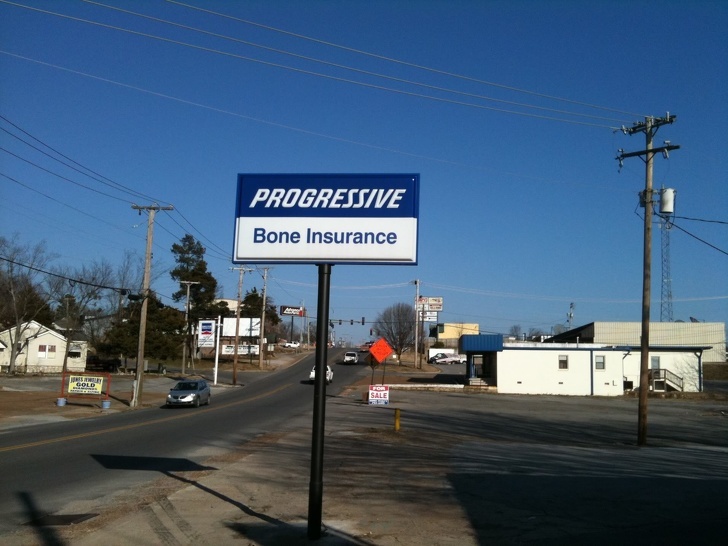 Next level insurance policies. Even we are confused about reading this? 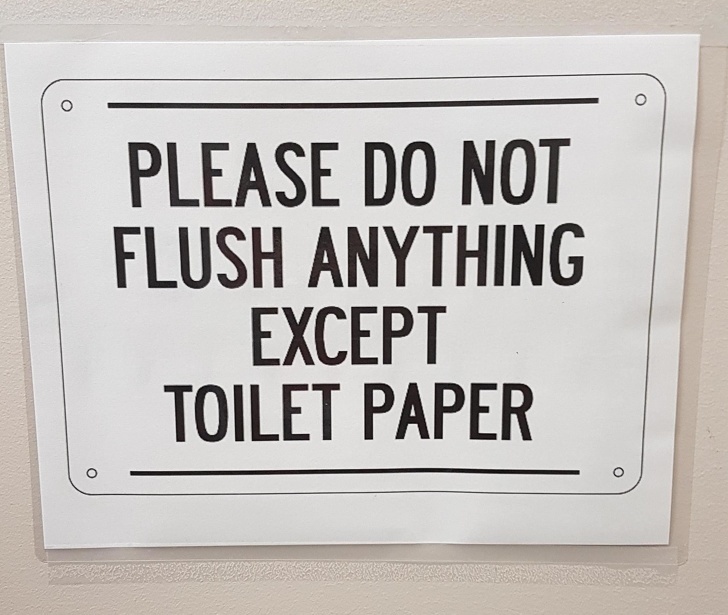 Could this sign actually do the work it was meant to do? Only the business owner can answer that question. 19. Witty! 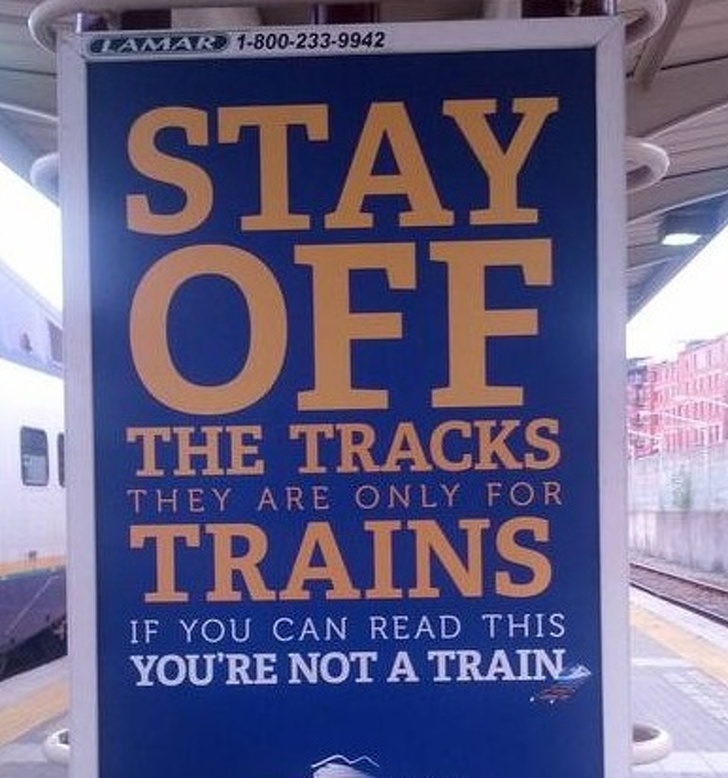 Any commuter who reads this will surely have a laugh or even crack a smile and this is sure to make someone's day. Commuters, please read that. 20. Guess Joe was the guardian of the realms. For him to be specially recognized must mean he had a lot of accidents. 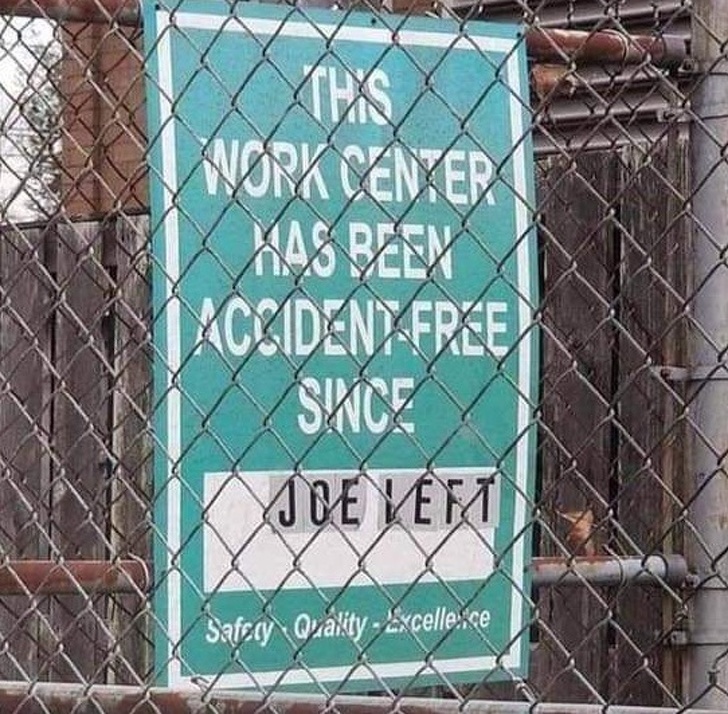 We are sure they don't miss Joe. 21. Nice for a salad dressing, huh? This vet does have a way around words. 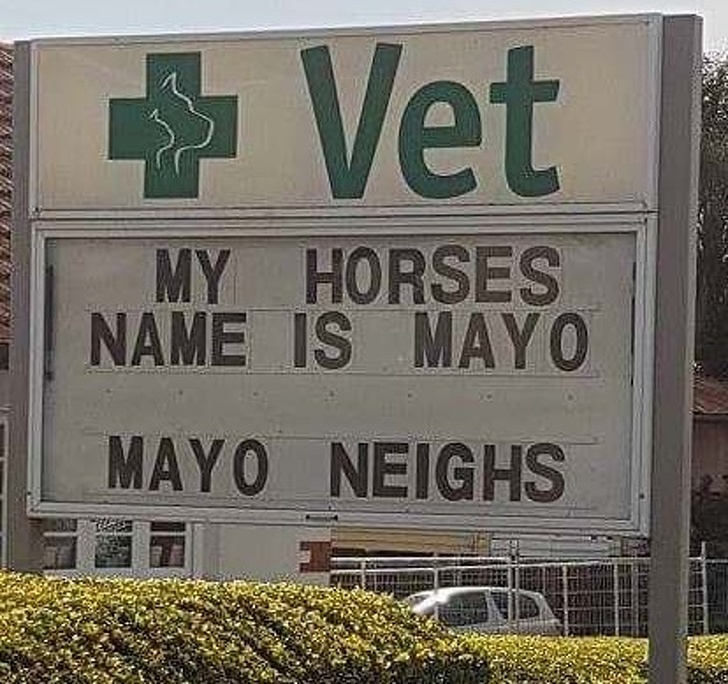 Even if you don't have a horse who neighs, you will be tempted to check out Mayo. 22. That's some crazy employment requirement. 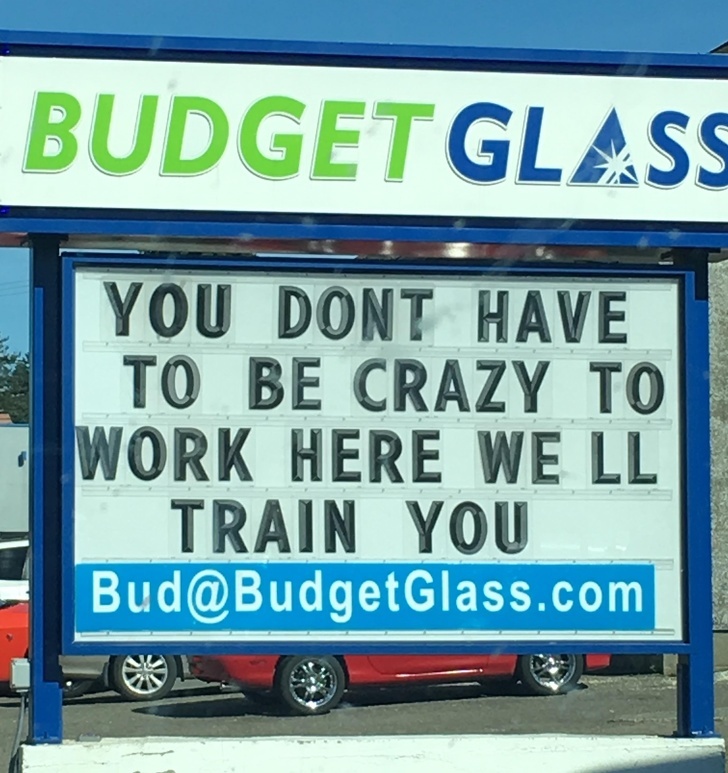 Don't worry even if you don't have the experience, you'll get an on-job training. 23. There's nothing special here as you are still paying for everything you got. This is just a scam waiting to happen. 24. 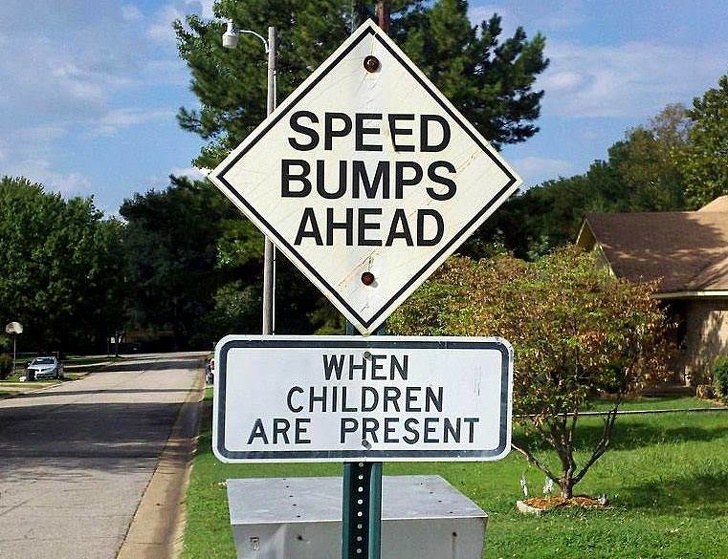 When children appear, bumps follow them, but, being witty wasn't the intention of this sign maker. They are just trying to make parents/guardians know what's ahead so they would be extra careful. We guess that's understandable, right? 25. Alert! 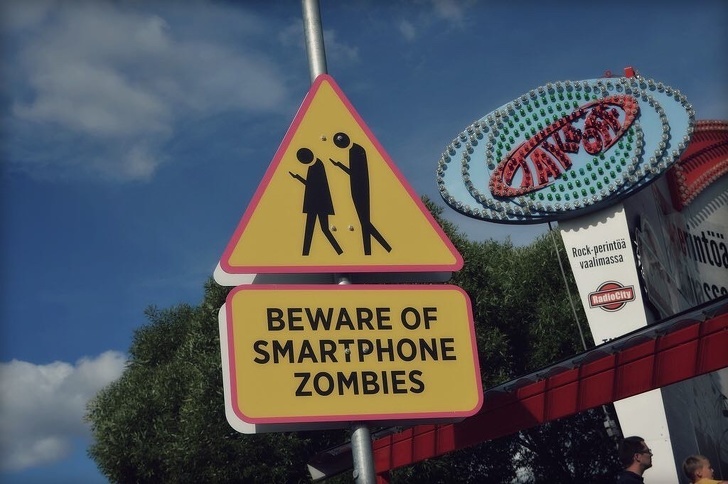 A new breed of zombies on the rise. This is one sign that would definitely make you laugh out loud and you might just be one of the zombies they are warning us against. 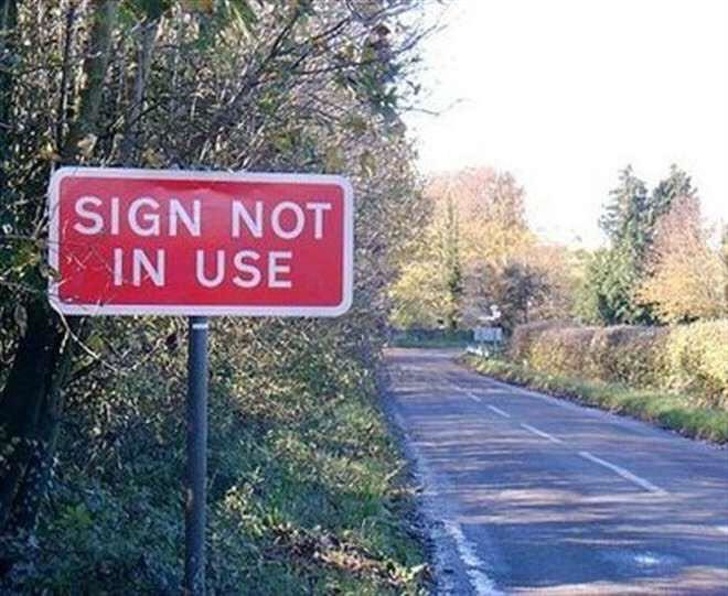 Have you ever seen signs like this? What did you do when you saw them? I bet you paused to take a picture. If you have, do share your experiences with us, and if you do have a picture, share with us too in the comments. Have a great day. There are many reasons why people cannot forgive someone else's mistakes. It may be that you have done them too much harm or because they are really very spiteful, but it is something that also depends on the sign.